I loveee this cheesecake with all my heart =p. Truly! 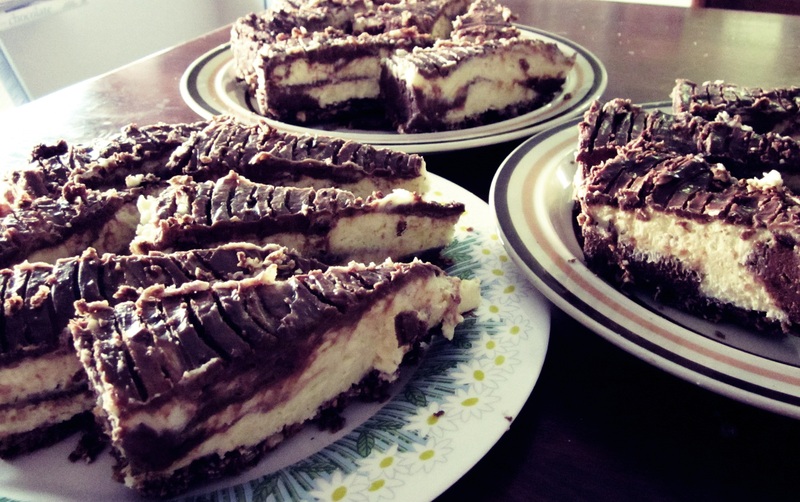 My best friend, Najwa is not really into cheesecakes but she loves this one because of its less cheesy taste. Probably the deliciousness of the chocolate flavour could just outweigh the cheesy element of the cake. The combination of the oat+hazelnut+chocolate for the base is just perfect and suits the filling really well that majority of my friends compliment the toothsomeness of the base. The recipe is extracted from the book; What’s Cooking Chocolate by Jacqueline Bellefontaine. 1. Place the toasted oat cereal in a plastic bag and crush with a rolling pin. Pour the crushed cereal into a mixing bowl and stir in the hazelnuts. 2. Melt the butter and chocolate together over a low heat and stir into the cereal mixture, stirring until well coated. 3. Using the bottom of a glass, press the mixture into the base and up the sides of a 20cm springform pan. 4. Beat together the cheese and sugar with a wooden spoon until smooth. Beat in the yogurt. Whip the cream until just holding its shape and fold into the mixture. Sprinkle the gelatine over the water in a heatproof bowl and leave to go spongy. Place over a pan of hot water and stir until dissolved. Stir into the mixture. 5. Divide the mixture in half and beat the dark chocolate into one half and the white chocolate into the other half. 6. Place alternate spoonfuls of mixture on top of the cereal base. 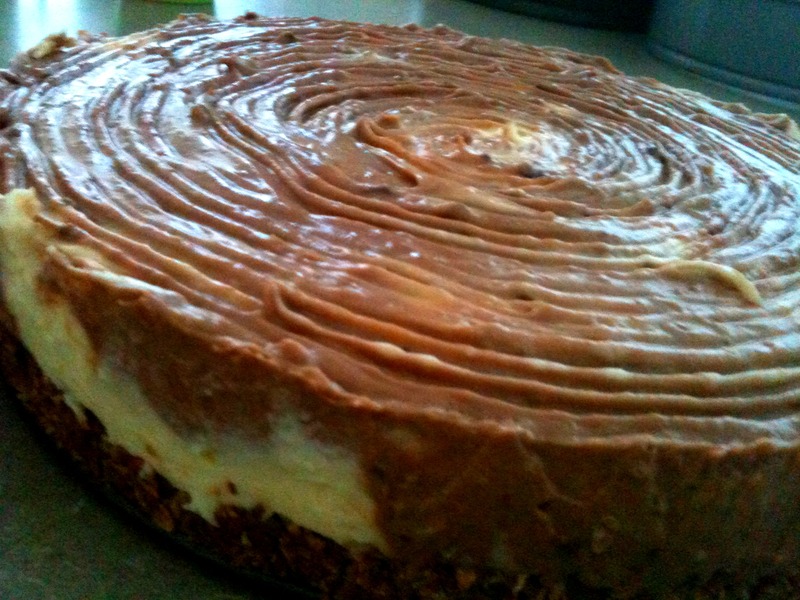 Swirl the filling together with the tip of a knife to give a marbled effect. Level the top with a scraper or a palette knife. Leave to chill until set before serving. Say "SubhanAllahi wa bihamdihi, SubhanAllahil 'Azeem"
Prophet Muhammad (SAW) said: "Two words are light on the tongue, weigh heavily in the balance, they are loved by the Most Merciful One"